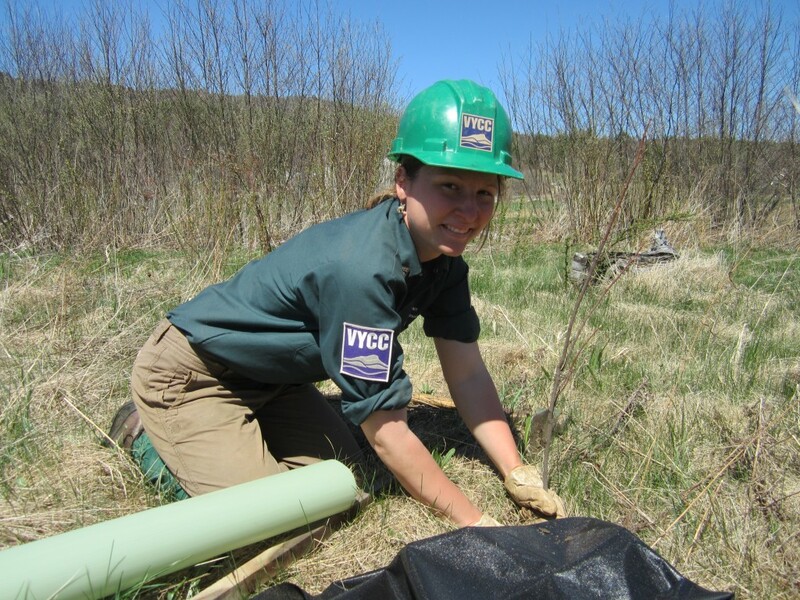 With a grant through the Ecosystem Restoration Program, the Vermont Department of Environmental Conservation has provided funding to support the Vermont Youth Conservation Corps (VYCC) as part of the 21st Century Service Conservation Corps to complete 11 weeks of water quality improvement projects throughout the state of Vermont during 2014. The VYCC provides employment, training and education to young people ages 16-24 through the completion of high priority conservation projects around the state. Phosphorus is one of Vermont’s greatest water quality challenges. In Lake Champlain, phosphorus, combined with sediment, feeds toxic algae blooms, particularly in shallow sections of the Lake such as Missisquoi Bay, Saint Albans Bay, and the South Lake region. These toxic blooms negatively impact public health, recreation, and our immediate enjoyment of the lake. In 2014, as part of a multi-state, international effort to reduce the amount of phosphorous in Lake Champlain, the VYCC as part of the 21st Century Service Conservation Corps will field crews to complete water quality improvement projects including river and lake shoreline stabilization, planting of native trees to create riparian buffers, and the installation of engineered stone structures to help dissipate erosive forces in storm water impacted streams. Projects have been developed in partnership with the Connecticut River Watershed Alliance, the White River Partnership, The Black River Action Team, the Lake Iroquois Association, the Winooski Natural Resource Conservation District, and the Vermont Lakewise Program. This entry was posted in Erosion Control, Habitat Restoration, Landscaping, Shoreline Stabilization on June 2, 2014 by Hannah.